This Post has already been read 571 times. With more than 10,000 4G sites, Pakistan runs on Zong 4G. Pakistan’s No.1 Data Network, Zong 4G is proud to announce the achievement of yet another milestone by being the first and only network to surpass 10,000 4G sites. By expanding already the widest 4G coverage in the country even wider, Zong’s customers can now benefit from ultra-fast 4G internet speeds anywhere and everywhere. Thus making peoples’ lives smarter, easier and more efficient. Owing to this all-encompassing 4G footprint; education, entertainment and infotainment are just a click away for all Pakistanis now. CMPak’s vision to ‘Lead the Digital Innovation’ got a head start when back in 2014, Zong won the first 4G license in the country. Since then, Zong has been the most pro-active and committed to 4G expansion by spreading 4G towers from urban centers to the remotest of rural pockets. And this pioneering approach has yielded incredible results in the shape of over 9 million satisfied 4G subscribers, more than any other network. This milestone places Zong 4G in a uniquely dominant position for years to come. Following the roadmap envisioned by the Chairman & CEO, Mr. Wang Hua, Zong is laser-focused to realize the dream of a digital future for Pakistan. Which is to give each and every Pakistani from all walks of life, backgrounds, and residences, the ability to seamlessly communicate and connect to the world through ultra-fast 4G internet. 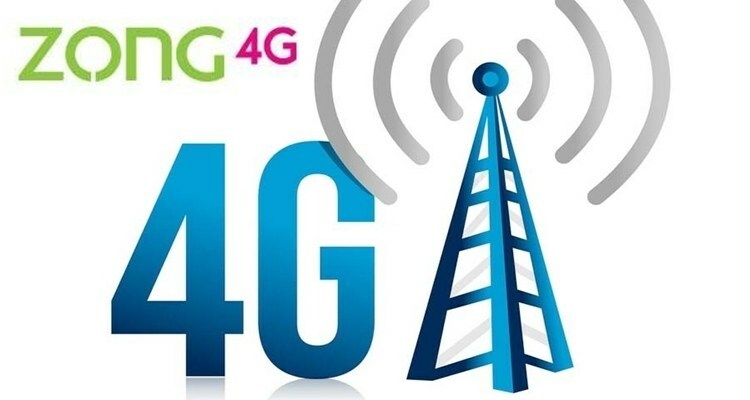 Therefore, Zong 4G has plans in place to launch 5,000 more 4G sites in the next 3 years, widening the already wide gap between Pakistan’s No.1 Data Network and the rest, even further. This aggressive expansion is also in tune with the ambition of Zong’s parent company; China Mobile Limited, the world’s largest telco and 4G operator. Their confidence in Pakistan’s network market and economy as a whole, backed by large magnitude of investments, is propelling Zong’s current and future successes. And it’s this perfect blend of China Mobile’s continued commitment, their experience in global tech leadership, and the passion, vision and execution of Zong employees, that has made Zong 4G the No.1 Data Network of Pakistan. For a young country to progress and keep pace with the world, the access to technologies like 4G to each and every citizen is vital. Therefore, Zong brand has taken it upon itself to lead the nation towards a digital future. When it comes to 4G coverage, subscribers, internet speed and innovation, no other network comes even close to Zong 4G. And with more than 10,000 4G towers fuelling the dreams of the nation, Pakistan runs on Zong 4G. Why Zong 4G is the Foremost Preference of People?